One of the seventy-two disciples present at the Pentecost, Stephen was said to be a strong speaker trusted by the original apostles. He was convicted of blasphemy and stoned to death, becoming the first martyr for the faith. 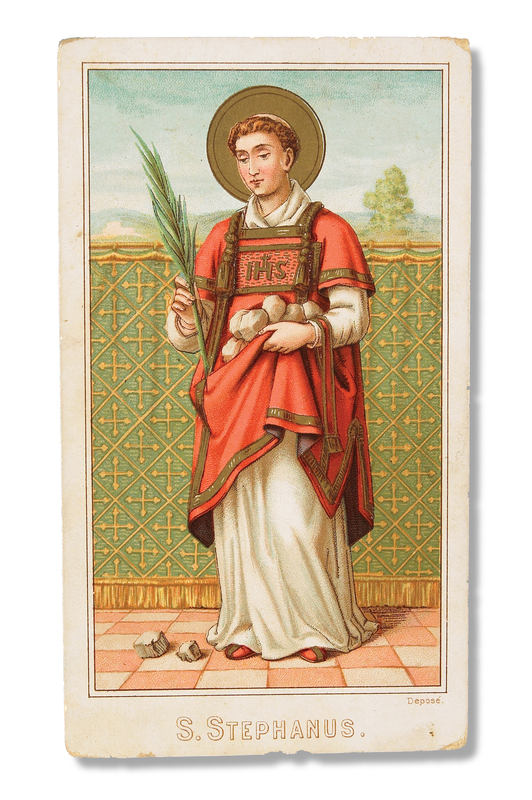 He is the patron of anyone who works with stones or who has illnesses relating to stones.